Much have been made of the exceptional qualities of graphene, from its ability to conduct electricity and heat more than any other material known today, to its unequaled strength. Graphene can repel bullets better than Kevlar if it’s worked into a composite material. It is also among the most impermeable materials known to man making it an ideal substance as a barrier film. This marvel material is destined to transform the world with its exceptional properties. Biological engineering is one field in which graphene is going to revolutionize. There is however some obstacles that needs to be overcome before it is used. It is estimated that graphene will be used in biological engineering in about 15 years’ time. 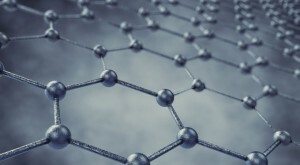 Scientists are currently working on important moderations that will precede the use of graphene in this important field. Understanding its biocompatibility will have to take numerous clinical, safety and regulatory tests which will take quite some time. With graphene offering very high electrical conductivity, large surface area, thinness and mass strength it would make a perfect material to substitute what is currently used in the manufacture of bio-electric sensory devices. Graphene is going to make the devices work much faster than they are currently. With graphene bio-metric sensory devices are also going to have an extra ability of not only measuring, but also monitoring such things as hemoglobin levels, glucose levels, and the DNA sequence. With the advancement of technology and use of graphene and other 2D (Two Dimensional) materials eventually we may see engineered graphene that can be used as an antibiotic or for cancer treatment. Since graphene is made from carbon it is potentially bio-compatible. It is therefore, likely to be used in the process of tissue regeneration. As the study of graphene continues we expect to know more areas where graphene can be used in biological engineering.